Age 62, of Lake Oswego, Oregon. Loving wife, mother, sister and grandmother, passed from this life on Sunday, March 18, 2007. Marian was born in Jamestown, North Dakota, on August 1, 1944, the daughter of Peter P. and Thelma R. Stampka. Marian attended elementary school in Jamestown, moving with her family to Roseburg in June, 1957. she attended Roseburg area schools, graduating from Roseburg High School in 1962. She married Howard Hamilton on November 23, 1963, moving to the Portland area in 1972. Marian began her career at Farmers Insurance in January, 1976. 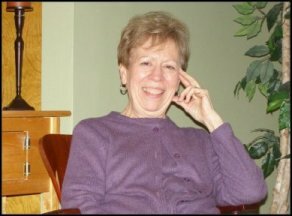 She is survived by her husband, Howard; son, Craig and partner, William Abbs of Gibsons, Canada and daughter Judith and her husband Andy Gunter of Lake Oswego, and sister, Carol McLaughlin of Roseburg. She is also survived by her granddaughter, Amanda Gunter. Marian was a soft spoken, special lady with a caring heart and quiet manner and always willing to work for humanitarian and business related projects. Private memorial services will be held in Roseburg later this month.